This was a expansion pack for the Harmonix video game “Rock Band 4”. Each song is playable in the game, and these were released digitally and not as a physical release. Each song is mixed with some starting noise giving a small club atmosphere in which the game is set, and there is an opening pattern of drum beats to each song, and a final drum beat when finished to signal players when to start and stop. At times during the game, such as when a song is being performed poorly, there may be additional crowd noise mixed in over the song noise itself. 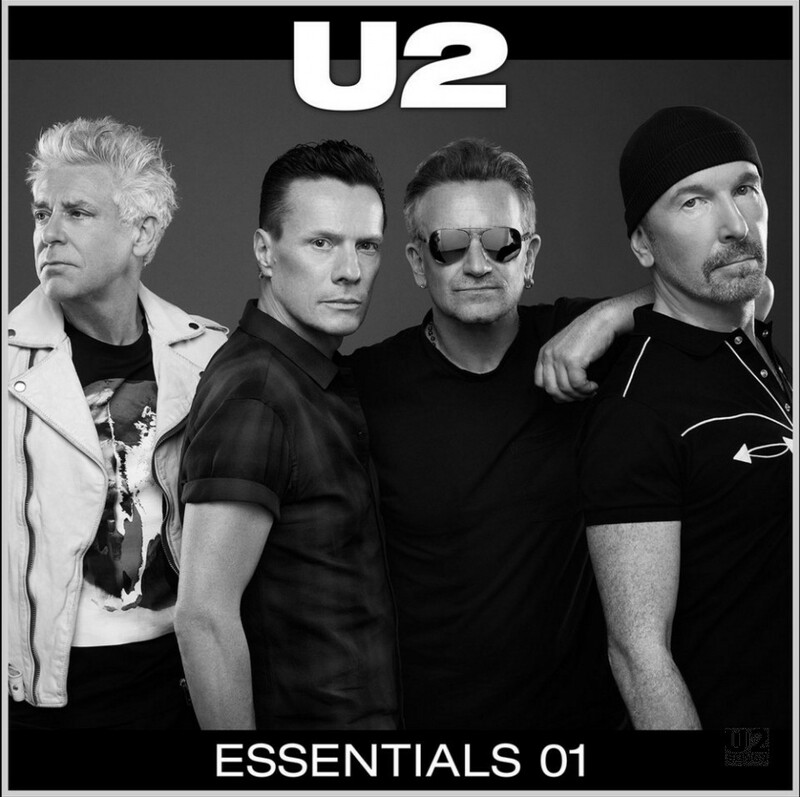 This package of songs collectively was known as “U2 Essentials 01” and retailed for $13.49 in the USA. Individual tracks could be purchased separate without buying the full pack, and individual downloads cost $1.99. The songs were announced on December 21, 2015, and were made available for download the following day at midnight. The versions of the songs here are the more common ones, although a few seconds may have been shaved off of “Where the Streets Have No Name” from the opening silence as heard on “The Joshua Tree”. In Rock Band, ‘stems’ are the individual tracks which make up the specific instruments in the game. In Rock Band this includes five tracks: guitar, bass, drums, vocals, and usually another track of additional instruments such as piano etc. As you play the game, if you miss a note, the game will not play that particular part of the stem, resulting in not hearing the guitar. This is done by fading out the particular instrument by fading out the particular stem. Harmonix receives two types of tracks for the game. One, is the track sent over by the artist with these tracks already separated, similar to the stems which are sent out to remixers of audio. Harmonix however, can also work with non-separated tracks, and do their own separation digitally to make it sound similar to if they had the component parts. Songs are not one single audio file, even if sent over in that manner, they are still separated into one audio stream per instrument, and when combined make up the full song. They do this by running a song through a program that will separate sounds based on a range of frequencies. But because they do this themselves there is significant ‘bleed’ between channels meaning the vocals will have significant overlap with instrumentation etc. When they do this separation in house it it often referred to as DIY stems. (Do-It-Yourself) A very limited number of tracks are not separated at all in this manner, and thus have no separate tracks and play as a whole regardless of what notes you play in the game. How do the U2 tracks make out? “Cedarwood Road,” “The Miracle (of Joey Ramone)” and “California” are all present with the stems separated and obviously sent that way by the band. “I Will Follow,” “One,” “Pride,” “Desire,” “Where the Streets Have No Name,” and “Vertigo” are all split up via the DIY method by Harmonix, meaning the original stems were not provided. And “Sunday Bloody Sunday” seems to be one of the tracks which is not split into stems at all.